Nominations under the 25-ward model were closed following the ruling on the province's council cuts legislation, according to Tammy Robbinson, a spokesperson for the city. City council nominations have abruptly closed, causing confusion among would-be candidates amid an already uncertain and tumultuous election period. The city clerk's office is no longer accepting nominations, CBC Toronto learned on Tuesday. The deadline for nominations under a planned 47-ward model — which is currently in force for this year's municipal election — was July 27. That nomination period was later extended by the city to September 14 — this Friday — after Premier Doug Ford redrew the election map by slashing the number of wards down to 25. On Monday, following a Superior Court challenge from critics of Ford's council-cutting legislation, Justice Edward Belobaba sided with the city and other challengers, ruling the province "clearly crossed the line" with its Better Local Government Act. The city's list of candidates who registered under the 47-ward model can be found here. The city's list of candidates who registered under the 25-ward model can be found here. The legislation came into force midway through Toronto's election period, and Belobaba wrote that it breached the freedom of expression of municipal candidates. Following Belobaba's ruling, nominations under the 25-ward model were then closed, according to Tammy Robbinson, a spokesperson for the city. That change means anyone who has yet to sign up under the 25-ward model has missed an opportunity to run if the election were to revert back to that system. And while the election is still going forward under the 47-ward model, the province intends to change that before voters head to the polls on October 22. Following the ruling, Ford announced his government intends to invoke the controversial "notwithstanding clause" in the constitution to override Belobaba's decision. He would be the first Ontario premier to use the clause, which allows government to create laws that override certain charter rights. Ford is holding a special sitting of the legislature on Wednesday to bring back the legislation, and include the notwithstanding clause. City council is holding a special meeting the following day to determine how to respond. A spokesperson for Ministry of Municipal Affairs did not provide comment today, saying only that the "legislation has not been tabled yet" and the province "will have more to say tomorrow." The latest change has already created confusion among candidates like Kyle Ashley, who registered under a 47-ward model and tweeted that he intended to register for the 25-ward system this week. "You can't move the finish line during a race. This is so frustratingly absurd," echoed council candidate Evan Tummillo, who registered under both ward systems. Sorry - wait, what does this mean?<br><br>I registered for the 47 Ward Model - was planning to register for the 25 this week...<br><br>Am I still registered under the 47 system? 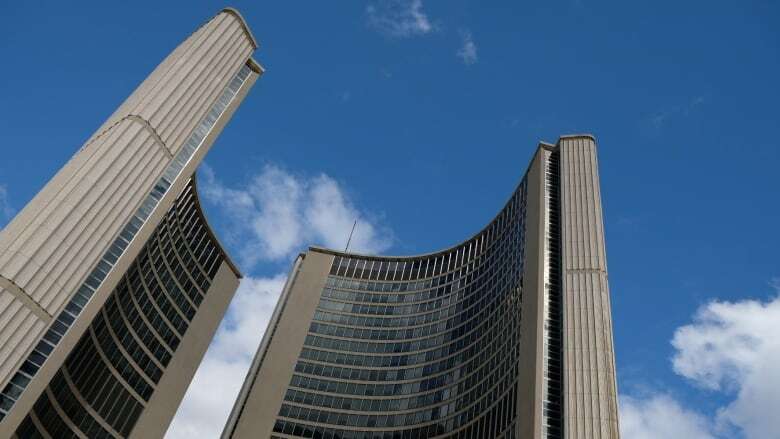 Incumbent councillor Joe Cressy, who is also registered under the 47-ward system but not under the 25-ward system, said he expects the province's legislation on Wednesday would include yet another deadline change. Speaking by phone from the campaign trail, he said he expects to run either way. "This will all be resolved," Cressy said. Meanwhile Mayor John Tory told reporters on Tuesday that the legislature and the city clerk will have to discuss the nomination period and "sort that out." "It would be unfair to have that deadline pass with the bill not passed, and then find those people who didn't register were cut out," Tory said. "I trust they'll come to some resolution on that."